This entry was posted on January 27, 2016 by Simon Gonzales. 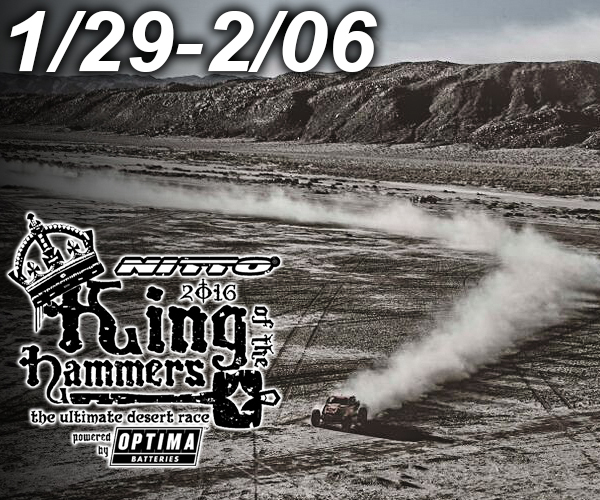 King of the Hammers is a week long off-road race that combines desert racing and rock crawling all in one. This endurance race puts drivers and their highly modified race machines to the test. Located in the heart of Johnson Valley, CA this event brings together thousands of spectators to watch each driver push their race vehicles to the limit. aFe Power and Sway-A-Way will be out there all week long. 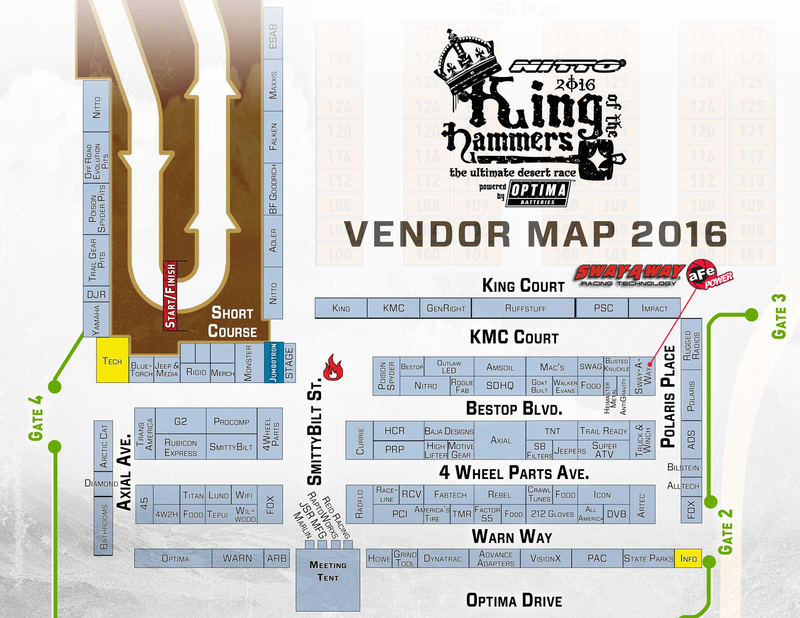 Stop by our booth to see new products, specials and swag!